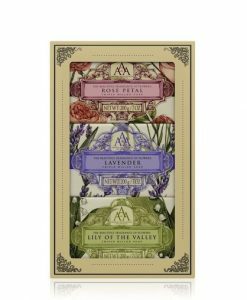 This AAA Mini Soap Collection is a new edition to our Aromas Artesanales de Antigua range. A gorgeous gift for £5, it contains three cute soaps in Rose Petal, Lavender and Lily of the Valley fragrances. 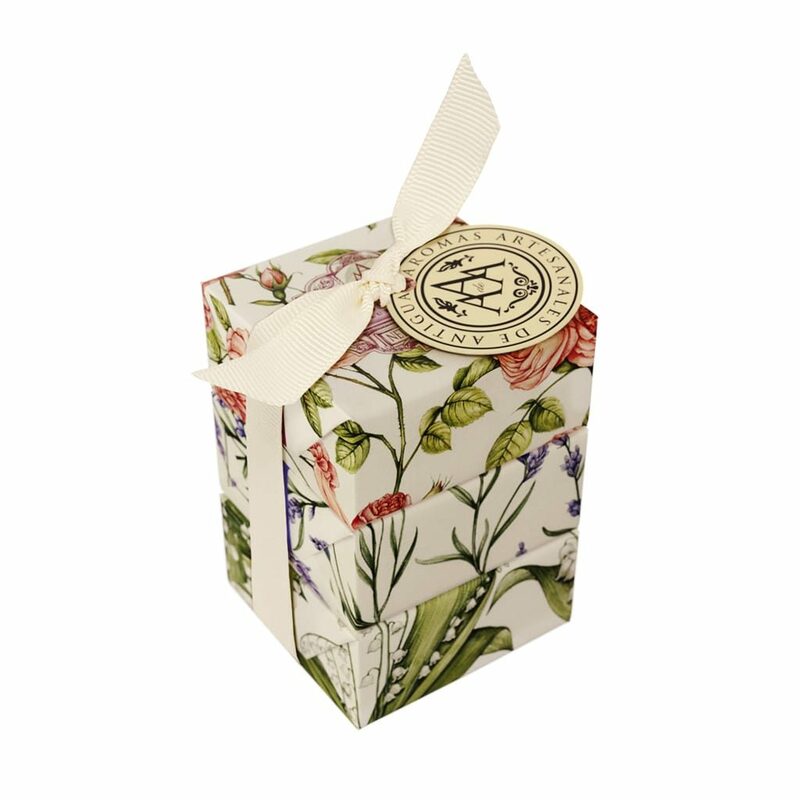 There’s no need for gift wrapping, as the soaps are individually wrapped in beautiful floral paper and tied together with a cream ribbon. Our AAA soaps will gently cleanse the skin, leaving a subtle floral fragrance. Ideal gifts for loved ones, our AAA collection is affordable luxury to adorn bathrooms or be placed in drawers to softly permeate surroundings. Explore the entire Aromas Artesanales de Antigua (AAA) collection. 3 x 75 g / 2.6 oz.